Tall Onyx-black boot with gold zipper decorative accents sits atop a gold-chromed "iceberg wedge" heel. 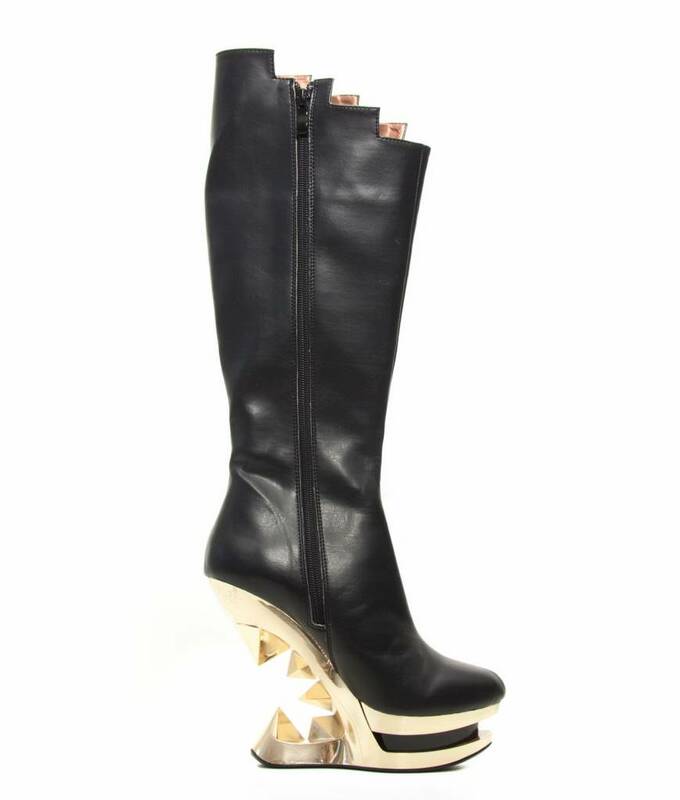 The top edge of boot shaft is stepped up as the zippers get taller. Three hanging golden chains accent from zipper pull to zipper pull. This stunning boot has a functional zipper on inner leg. 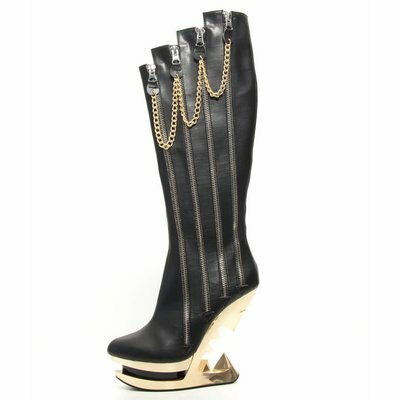 Cut-away molded heel is 5" tall, layered platform underfoot is 1.5", all gold-chrome covered, except the inset layer in black. 100% vegan, even the glue!